By October the changing weather usually brings more frequent days of wind and rain. 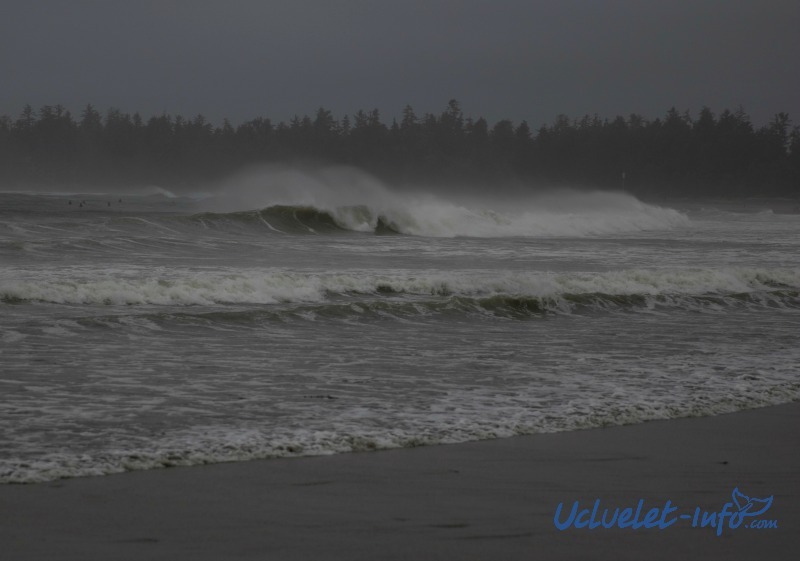 By November the winter storm season in Ucluelet and Tofino has come and it usually lasts until February or March. Both BC locals and visitors from other countries are turning up every year from November to March to come and see some of 3-6 Meter (20 ft) sea hurling waves on the shore. 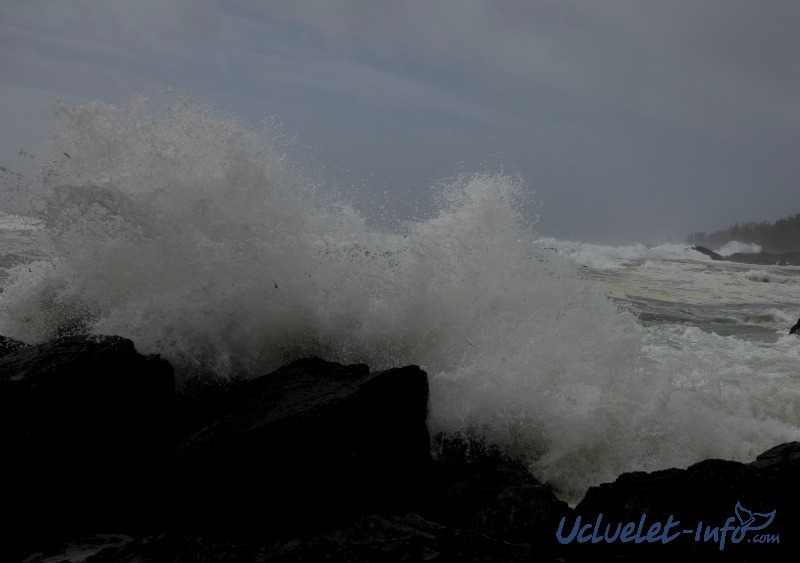 Gale force winds reaching up to 70km an hour can throw massive 15 foot waves (waves don’t hit the shore at the same height as they are just a litte ways offshore.) 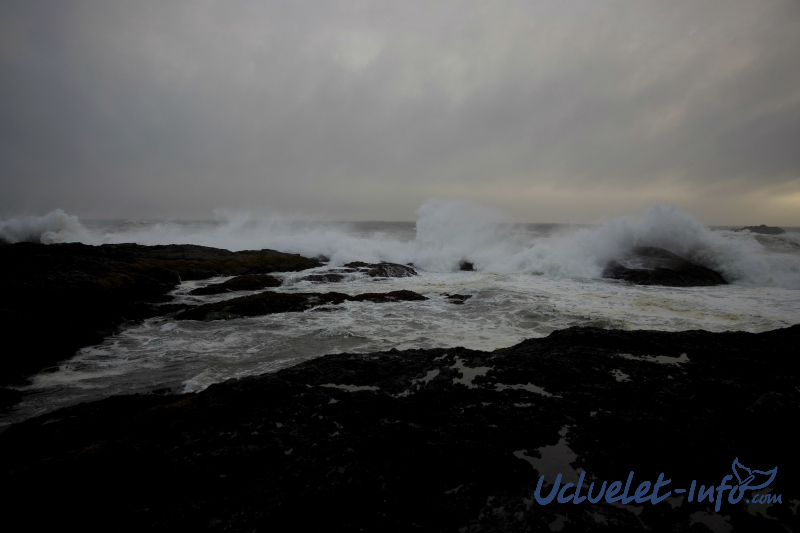 Some of the best spots include Chesterman’s Beach, Frank Island, Long Beach and Amphitrite Lighthouse in Ucluelet. Winter vacations are much better spent on the west coast when there is a fire place in your ocean view accommodation. There is something magical about watching the waves next to a warm fireplace. The ocean always is creating a new picture of motion and it is possible to spend hours relaxing your mind and watching the waves work paint lively canvas of perfection. Why winter storms frequent this coast? The making of these devastatingly powerful storms is caused by a low pressure air system moving northbound into the Gulf of Alaska while in the zone between, the northern arctic air and subtropical air combine to create a frontal wave as the system begins to move in a south eastward direction toward Vancouver Island. 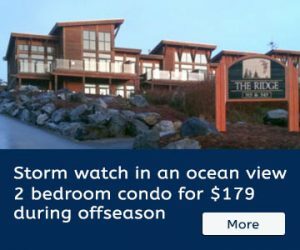 As the front travels east the pressure begins to drop rapidly and the now low pressure system increases as do the winds and waves making the perfect recipe for storm after storm to come crashing against Vancouver Island’s rugged west coast. 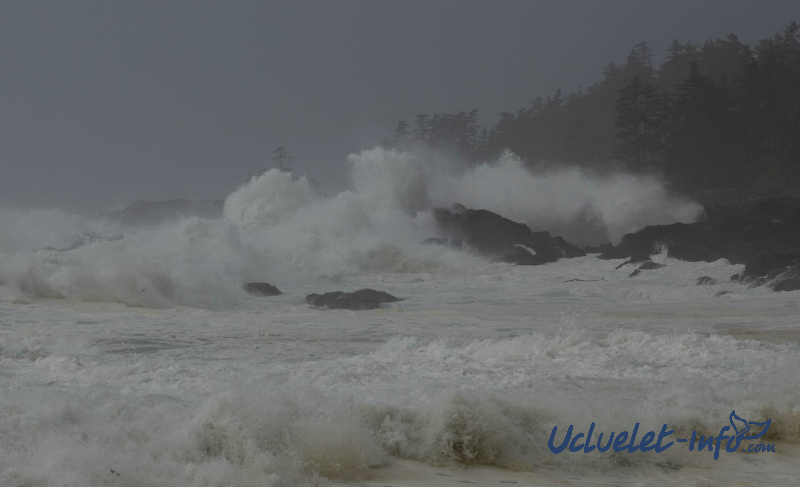 Ucluelet and Ucluelet host about 15-20 mega-storms through the months of November and March. Ucluelet locals love surfing and you are sure to see some of them surfing the large storms as well. Because storms produce large waves, surfers will still brave the subpar conditions to catch a few seconds of action. Chesterman’s Beach is a good place to see surfers working both sides of the beach. Make sure you dress appropriately since the cold windy weather can chill you pretty quickly. The aftermath of the storms can produce some interesting beachcombing opportunities. Most of the beaches will have a variety of driftwood, shells and small mollusks that are swept ashore. 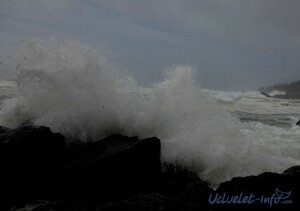 Wickaninnish Beach has the most accumulated driftwood of all the beaches and may be a good place to start. With about 13 km (8 miles) of sandy beaches there is lots to cover.